As reported by us earlier, actor Ajith’s next is with director H Vinoth of ‘Theeran’ fame. 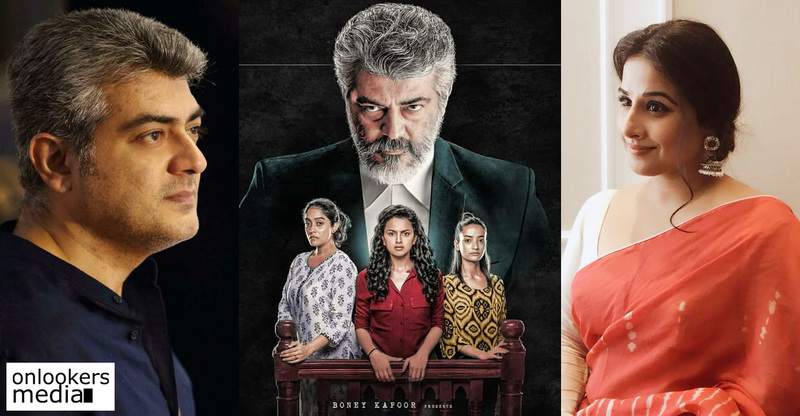 The movie, tentatively titled Thala 59 aka AK 59, is the official remake of acclaimed Hindi film, ‘Pink’. Bollywood producer Boney Kapoor, husband of late actress Sridevi, is entering K-Town by producing this movie. While there have been several speculations about the cast and crew, the makers have finally made the official announcement. 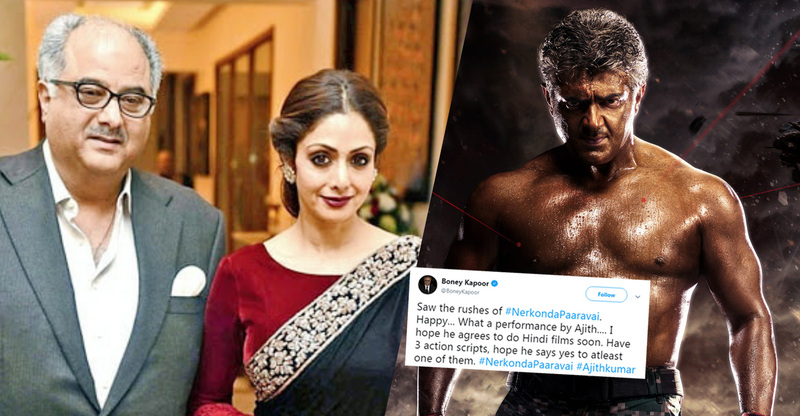 Ajith will be reprising the role played by Amitabh Bachchan in the original. Shraddha Srinath, noted for her roles in movies like ‘Vikram Vedha’ and ‘U Turn’, will be reprising Taapsee’s role. Vidya Balan is also playing a major role in the movie. Her character is said to be specifically added in the remake. Others in the cast include Abhirami Venkatachalam, Andrea Tariang, Rangaraj Pandey, Arjun Chidambaram, Adhik Ravichandran, Aswin Rao and Sujith Shankar. ‘Pink’ directed by Aniruddha Roy Chowdhury discussed a wide range of sensitive issues about women’s rights and dignity. It won widespread critical acclaim and bagged the National film award for Best Film on other social issues. According to the makers of the Tamil version, it will not be a scene by scene remake. The script has been adapted to suit the sensibilities of the Tamil audience. The remake has music by Yuvan Shankar Raja and cinematography handled by Nirav Shah.